I know, I know. I am working on my backlog this year. Two games and a couple of Amiibo isn’t bad though, right? 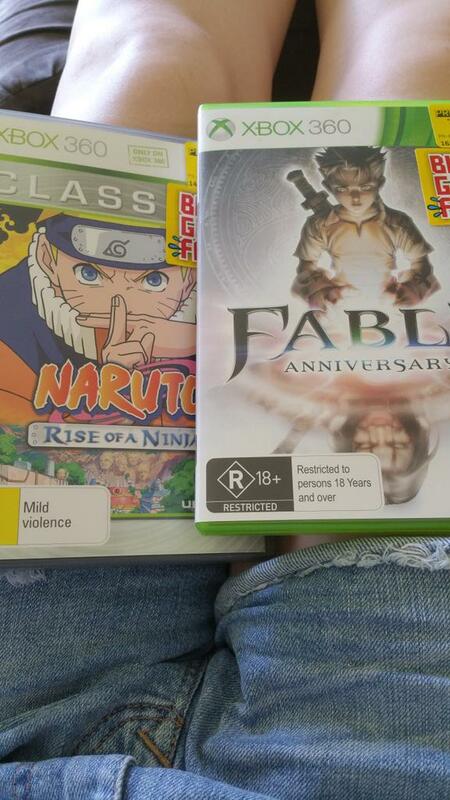 I have wanted these games for ages. Fable as I have only actually played II and III. Everyone complains about how bad they are and that the first is superior. I liked both of them so I am sure I am bound to like this one as well! Naruto because I am a bit of a fanatic at the moment. When the game first came out (before I watched Naruto) I actually watched my younger brother play through it and it seemed awesome. I remember him jumping through trees, learning jutsu, gaining friendship with ninja in the village. I’m so in. If only it had Obito in it. I’ll live though, maybe.